Get your soil tested and add amendments as needed. Use your garden debris and leaves to start a new compost pile. Plant trees and shrubs. Be sure to keep them well-watered, even through the winter (snow permitting). Make sure all vacationing houseplants are brought back inside. Plant cool season annuals. Covering mums and asters on nights when a frost is expected, will lengthen their blooming. Remove green tomatoes from the plants. Either ripen in a brown paper bag or lift the entire plant and hang upside down in a warm spot, to ripen. Harvest winter squash once the vines die back, but definitely before a hard freeze. Continue harvesting fall crops like beets, cabbage, carrots, cauliflower, kale and leeks. Clean and put away empty containers and garden ornaments. Clean and sharpen gardening tools. Think about a de-icer for the birdbath. If you're in an area that freezes and you don't have a de-icer, turn your birdbath over to keep it from cracking. Enjoy the season. Show off your harvest with a fall display. Then start thinking about putting your garden to bed. Prune Oleander in October, before next season's flower buds have formed. Plant cool season annuals such as African daisy, foxglove, Iceland poppy, larkspur, lobelia, pansy, petunia, phlox, snapdragon, stock, sweet alyssum, sweet pea, and viola. Keep them well watered, especially if the temperature warms. Feed and water roses, but don't prune now. Plant warm climate bulbs, like those from South Africa (ixia, ornithogalum, sparaxis, tritonia), for early blooms. Pre-chill cool climate bulbs (daffodils, crocus, hyacinth and tulips) before planting. You can also purchase already chilled bulbs. 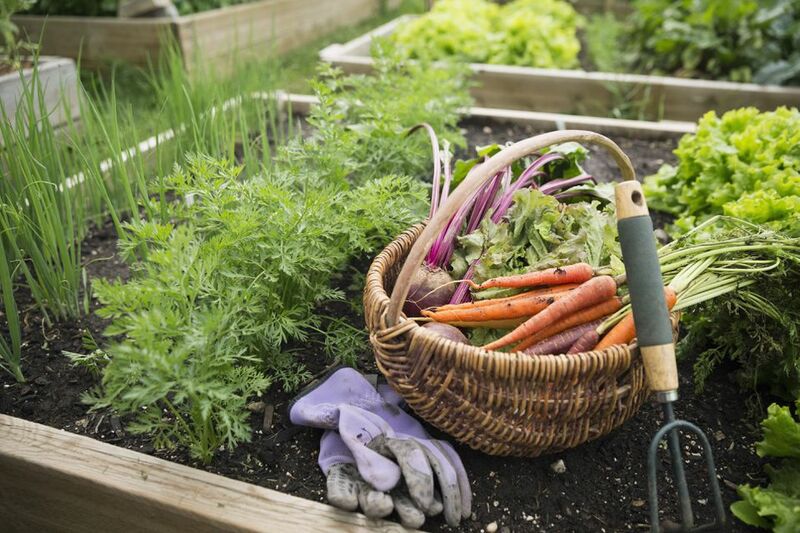 Sow cool season vegetables like beets, broccoli, cabbage, carrots, cauliflower, kale, kohlrabi, leeks, lettuce, onions, parsnips, radishes, spinach and turnips. Feed azaleas, camellias, hydrangea and rhododendrons with a fertilizer for acid-loving plants. Protect winter greens from this season's heavy rain and wind with row covers. Take advantage of upcoming rains to re-seed bare patches in the lawn. After the first killing frost, dig your tender bulbs, let dry and package for storage. Plant spring blooming bulbs this month. Keep mowing, as long as the grass is growing. But set your mower to its highest level and let the grass go into winter with at least 3" of growth. Start raking. Shred or compost this fall gold. Cut back and remove diseased perennial foliage. Clean up and remove dying foliage. Continue planting spring blooming bulbs. Harvest winter squash when the rind is too hard to poke a finger nail into. Plant strawberries now for spring harvesting. Plant cool weather herbs, like cilantro, dill, fennel and parsley. Seed quick growing cool season vegetable, like carrots, lettuce, radishes and spinach. Set out transplants of broccoli and cabbage. Dig and store tender summer blooming bulbs and plant spring bloomers. Make sure plants receive enough water, especially transplants and winter and spring bloomers. Plant a cover crop in the vegetable garden. Harvest sweet potatoes before a frost. Prune avocado, mango and plumeria trees. House plants start to slow down as the days get shorter. Cut back on watering and feeding until next spring. Winter feeding will result in weak growth. Plan for Christmas blooms on your poinsettia and Christmas cacti. Move both plants so that they are in temperatures between 50 and 60 degrees F. Make sure the Christmas cacti get at least 13 hours of complete darkness at night. Poinsettia will need about 15 hours in the dark. For most of us, this will mean covering the plants themselves. When uncovered, place in bright light. Provide them with water and a general purpose fertilizer.